Apply to wet hair. Massage into scalp. Rinse. For best results, repeat the process and use every day. In case of contact with eyes, rinse with water and if irritation persists contact physician. Xanthan Gum, Cellulose Gum, Aminomethyl Propanol, Methylchloroisothiazolinone. 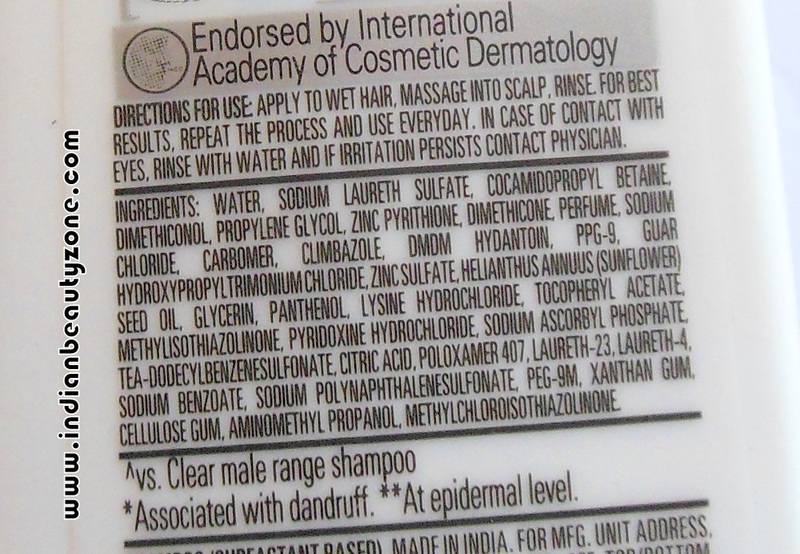 other shampoo, it smells decent yet artificial. The shampoo inside is not so thick, white colored solution. dries the scalp at just one shot. So there’s no chance of repeating at all. It helped in removing the dandruff but not completely from the roots. If you stop using it, you may get your dandruff back again which is a big problem. 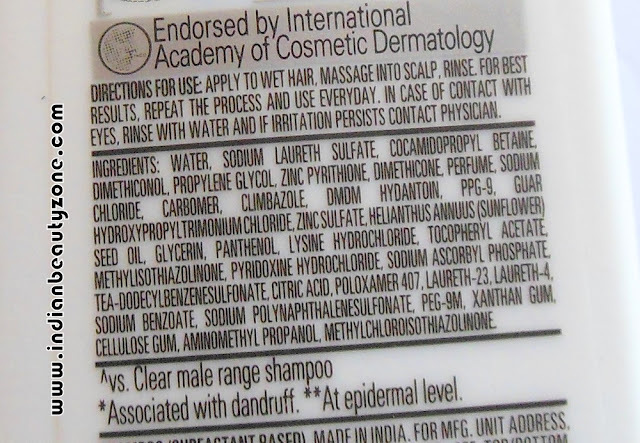 Plus my bro had lots of hair fall with this shampoo due to which he stopped using it. Will I Recommend? No. Instead look for a mild shampoo. Nice Review Gayathri, My husband also using this one and he liked it as it reduced his dandruff problem. I think the products reaction changes person to person. Actually this shampoo works differently for different people. Read both positive and negaive review. Thanx for the review Gayathri. Will stay away from it. Too bad...I will stay clear of it....I cant afford more hair fall... :( Thanks for the review Gayathri! My Recent Post: D.I.Y. Green Tea Toner and Scrub! Nice review. :) My brother uses this and he is happy with this one. you reviews are the best hun! Welcome. Even i don't like at all. I love your reviews Radha, so professional!!!! The care of hair is very important!! !